Toronto is a lovely city, but as it gets more cosmopolitan, it also gets more expensive. Areas that used to be rough and tumble have become swanky as Toronto expands its cool factor. This can be amazing if you have an unlimited budget, but if you have to be a little more conservative than a Trump on vacation, it can be worrisome. How are you supposed to drink all the cocktails you want, see all of the sights you wish to see and come home and be able to pay your rent? Enter the budget hotel. Whether you're looking for a sharp bargain or something more reasonable than luxury prices, our choices will help you lower your hotel costs, leaving you with more cash for shopping, restaurants and the many attractions offered in the city. Travel photos are much more fun if they are outside of the hotel (yes, even if you are on your honeymoon). 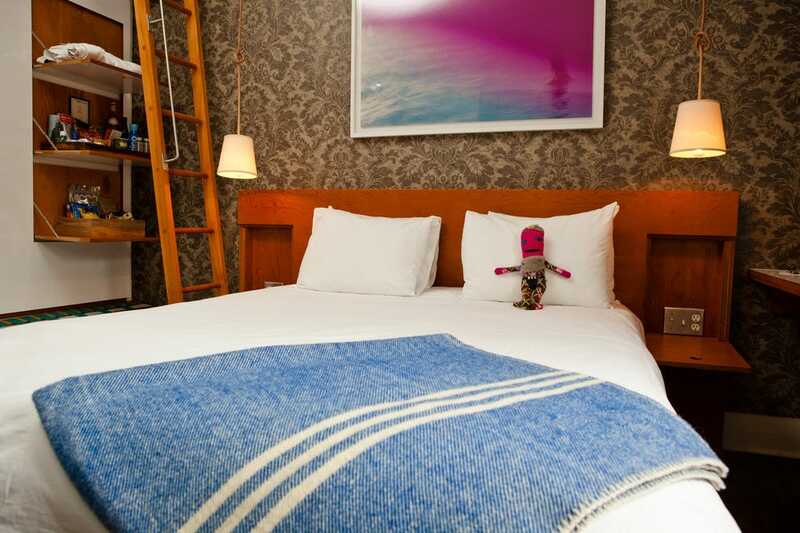 Find yourself in some of the coolest areas in the city, such as West Queen West, where boutique hotel Drake has cozy rooms and an easy ticket to fantastic nightlife. You won't even need pyjamas if you explore the corners of Toronto to their fullest potential. You will, however, need walking shoes. Add them to your packing list if you are booking one of these hotels. More money in the bank means more to do! If your idea of a good night's sleep has not graduated past the idea of a lullaby, a stay at the Rex Hotel in Toronto might be just the ticket. Located in the energetic part of the city on Queen West, you won't be far from some of the best nightlife in town. Mind you, it is bare bones basic, but where else can you get a centrally located hotel and free WiFi for less than $100 a night? Start your day off with a delicious $5 breakfast and hit the ground running. 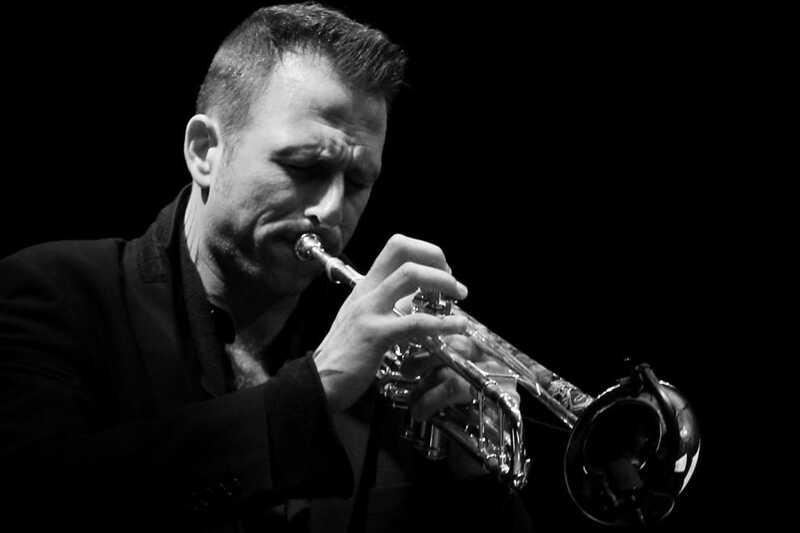 Even if you spend most of the day exploring, make sure to return at least one night to enjoy some toe-tapping jazz. If affordable is one of your key adjectives when it comes to organizing your trip to Toronto, the Alexandra Hotel has you covered. 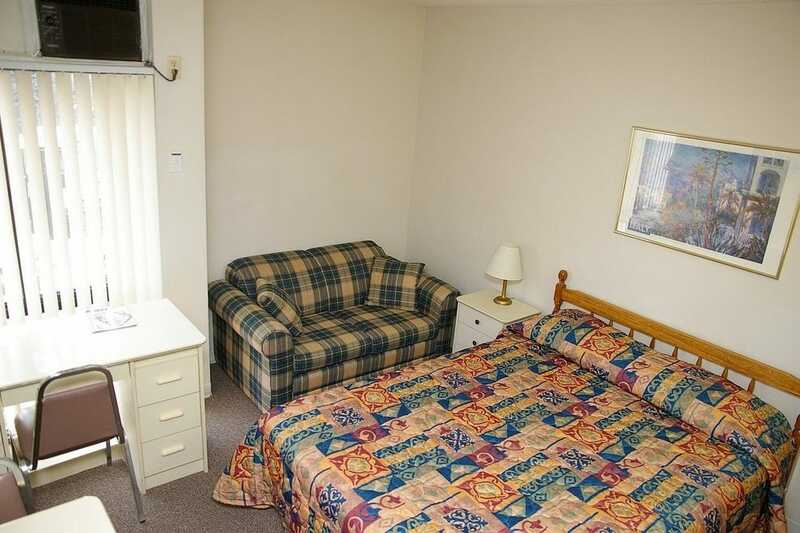 Near Ryerson University, the hotel does look like it is a dorm room decorated by your great aunt, but it has all the essentials of budget travelling: good clean rooms with WiFi. There is also a stovetop if you would like to save even more money by making your own meals. Public transportation will make it easy to zip around the city, but you can also take the most old fashioned form of transportation known to man: the feet. 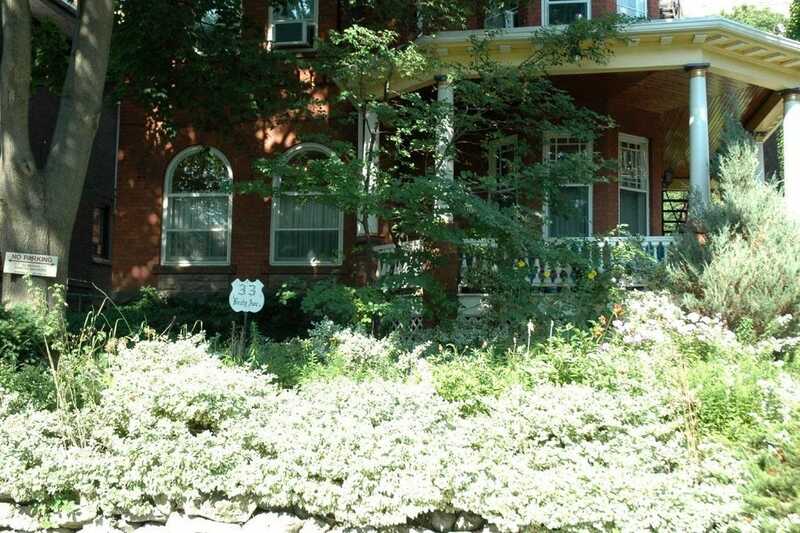 This west-end B&B is located in the trendy Roncesvalles area of Toronto in a lovely old heritage house. Expect plenty of charm for a great price. There are high plastered ceilings, aged hardwood floors and quaint nooks and crannies carefully decorated with 19th century antiques. Rooms are open and airy with well appointed beds and bathrooms accented by pedestal sinks. Breakfasts offer a range of all-you-can-eat hot items, as well as an extensive Continental spread and limitless tea. It will set you up for the day. High Park is a quick walk away, or take a 20-minute streetcar ride to the heart of downtown. Stay in the area for dinner, with top rated restaurants right at your fingertips. Toronto is better at being a new city than a city dedicated to preserving its history. 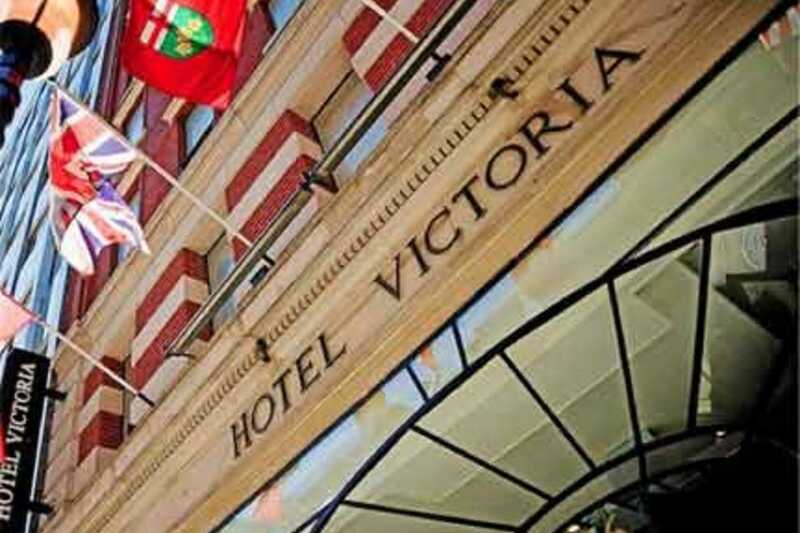 Still, The Victoria Hotel Toronto works as Toronto's second-oldest hotel. It dates back to 1909 and is located in a landmark building in the downtown core. The 56-room establishment may be a budget hotel but has developed a reputation for five-star service. Rooms are small but have been tastefully decorated in warm peach tones with dark wooden furniture. Free WiFi has the reputation of being slow, but is a minor detail in a city filled with free WiFi. Attached is the breakfast spot Over Easy. Fill your belly with eggy protein and get on with your day. In the financial district of Toronto is a budget hotel. This seemingly contradictory statement works for the traveller who likes to be a short walk away from the major attractions, but is quite happy with a no-frills European-style hotel. 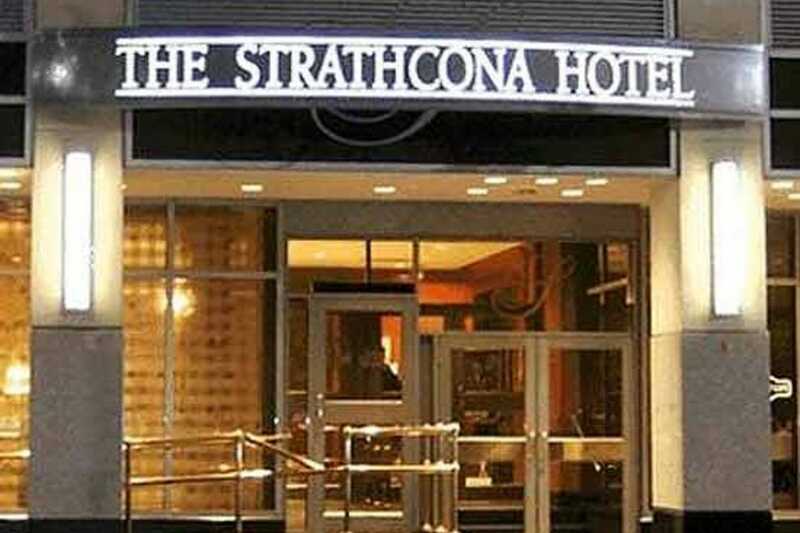 The Strathcona Hotel is considered to be one of the best buys in the city, with clean and tiny rooms that have the basics. Expect comfortable beds, coffee makers, iPod docks and other standard amenities. There is a cost for WiFi once you are in your room but there is free WiFi in the spacious lobby. The hotel does not have a fitness centre, so guests are welcomed to work out at the health club next door for the rate of $10. 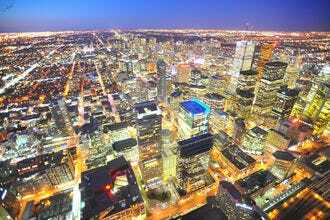 Walk to the Financial District, the SkyDome, CN Tower and The Theatre District. When you think budget hotel, you rarely think of Victorian mansions. This Toronto mansion rests its laurels on the fact that Ernest Hemingway once stayed here when he worked as a journalist for the Toronto Star. It has plush ambience and works as two separate hotels in one. In the front of house are the older, original rooms with Victorian decor, such as high windows, crown mouldings, chandeliers and antique furniture. At the back is the modern extension with rooms that are decidedly modern but also quieter. What you give up in character and ambience you get back with better water pressure and heating. The antique elevator is charming but not that efficient. 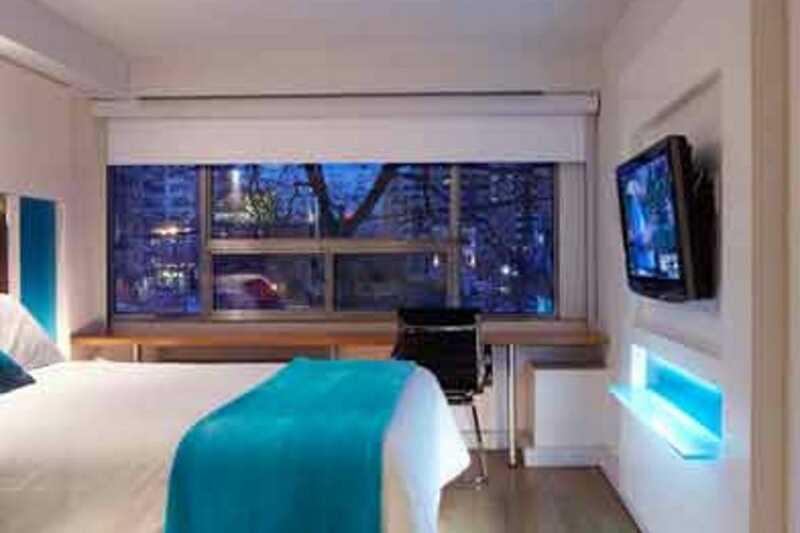 It's within walking distance of the Royal Ontario Museum and Hockey Hall of Fame. Part of what makes the Drake the perfect romantic retreat lies in its history. 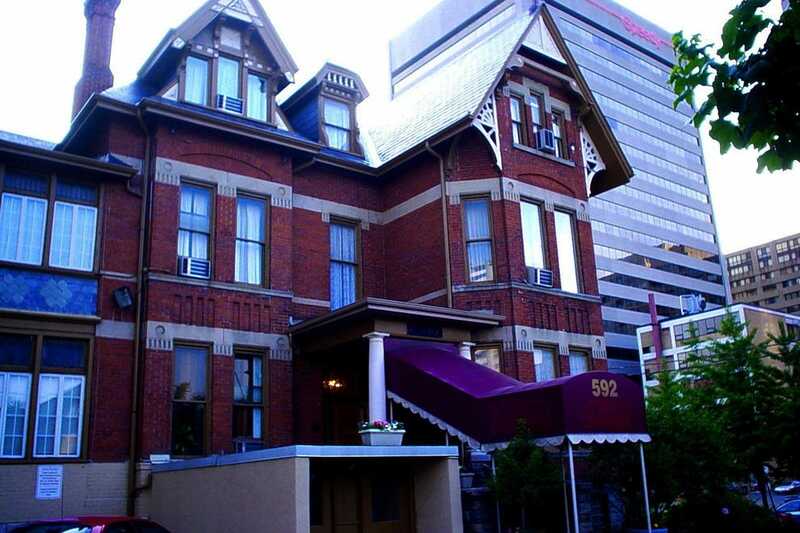 The hotel opened in 1890 as an upscale choice for railway travellers stopping in what is now Toronto's west end. As the neighbourhood fell on hard times, the building became little more than a seedy flophouse. It stayed that way until 2001, when a new owner poured millions into renovations. 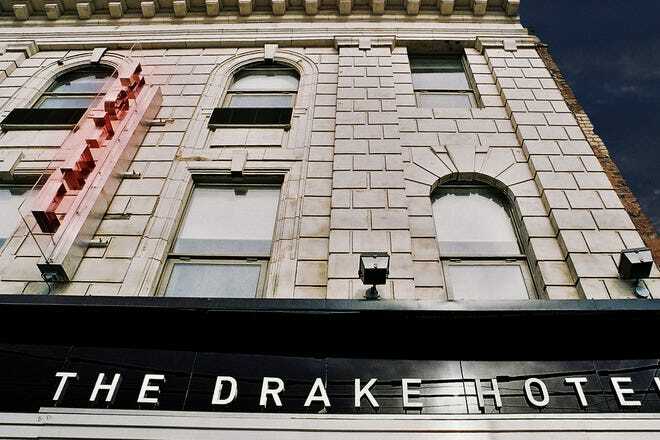 Today, the Drake Hotel is more than a mere hotel. Housing a great restaurant, and several bars and lounges where creative drinks, great live music and DJs draw crowds nightly, it's one of Toronto's hottest social hubs. If the entertainment and incredible nearby shopping gets tiring, the Drake's 19 rooms are ready to envelop overnight guests in spaces that are small, but neatly designed in a mix of modern artistic and old-time charm. Admit it: when you are staying in an airport hotel, you are anticipating a little bit of drabness in the name of convenience. Alt Hotels challenges that expectation and turns it on its head. Expect touches like gourmet grab-and-go meals and a hotel vibe that is stylish and eco-conscious. The rooms have everything from a spa-style showerhead to a dock for your IPhone so that you can set your own alarm clock. The modern style extends to the hotel lobby, with a giant mural made out of Instagram photos. You may want to stay more than one night (and how often can you say that about an airport hotel)? 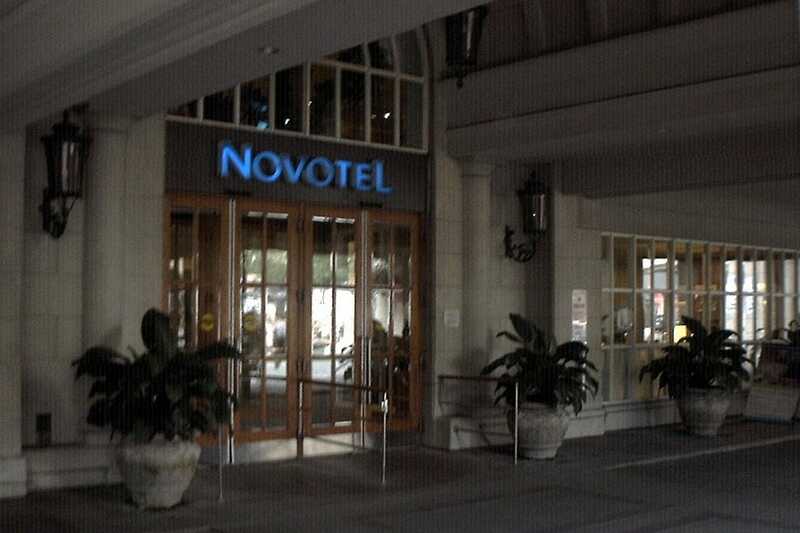 The Novotel Toronto Hotel is centrally located and within walking distance of the St. Lawrence Market, to grab the freshest and best breakfast in town. Rooms have a minimalist style done up in buttery yellows, soft beiges and creams with warm lighting and splashes of colour. The beds are gigantic and plush and once you sink into them, you will find it hard to believe that you are travelling on a budget. 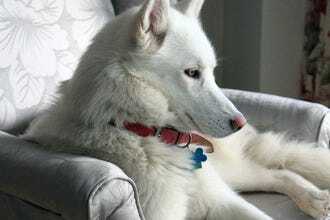 There is even room for your four-legged friends, with pets warmly welcomed. The restaurants and bars on the Esplanade are just outside your door. Free WiFi is available in all areas and rooms can be had for under $150 a night. Great value for an exceptionally comfortable hotel. Located in the heart of downtown Toronto right near the bustling Yonge and Dundas Square, the Bond Place Hotel is an ideal location to put the city at your fingertips. Bond Place was completely renovated in 2011. 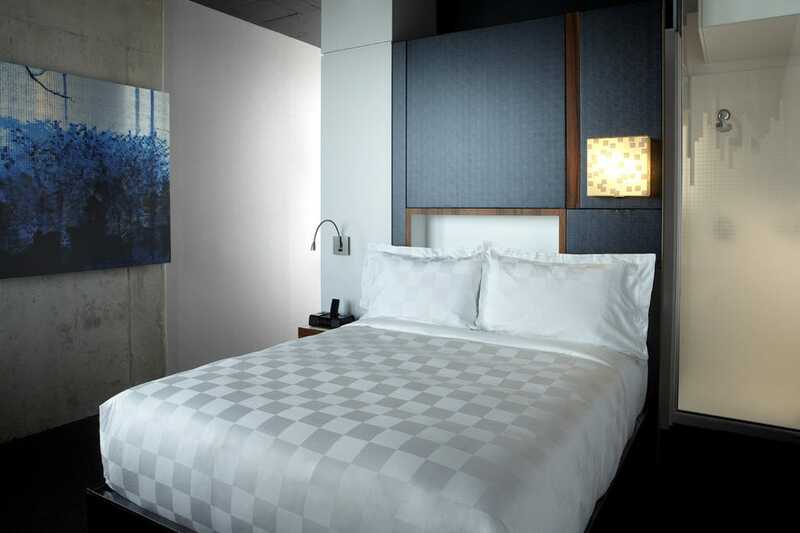 Expect a sleek, urban feel with smallish rooms outfitted with plush beds, white duvet beddings and hardwood floors. The spa-like bathrooms have touches like glass showers that emphasize the modern vibe. Also on site is a fully equipped fitness centre, expresso bar and The PomAnar Grill and Juicery, where you can watch your dinner be cooked over an open fire. 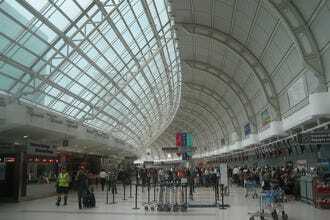 There is airport shuttle drop off and pick-up available, should you ever want to leave.